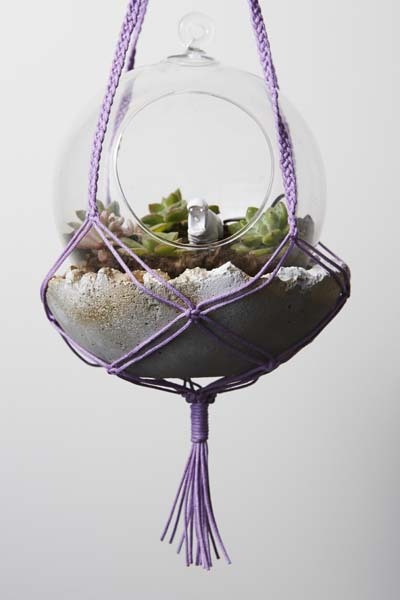 The team at Colour Box Studio in Melbourne will be hosting a double workshop on Sunday 15 March where you’ll get to learn how to make a mini terrarium and a macrame pot/terrarium hanger so you can display it proudly in your home! Mini terrariums are the latest craze; they are a great way to bring a little greenery into the home without being high maintenance and kids are fascinated by them. The workshop will be led by Eavan Murphy, founder of Mrs Murpy’s Flowers, and designer/maker Kirri Mae of Kirri-MaDe, two local creatives who produce unique creations. The first half of the workshop will focus on creating the terrarium which includes the plants and a little animal. 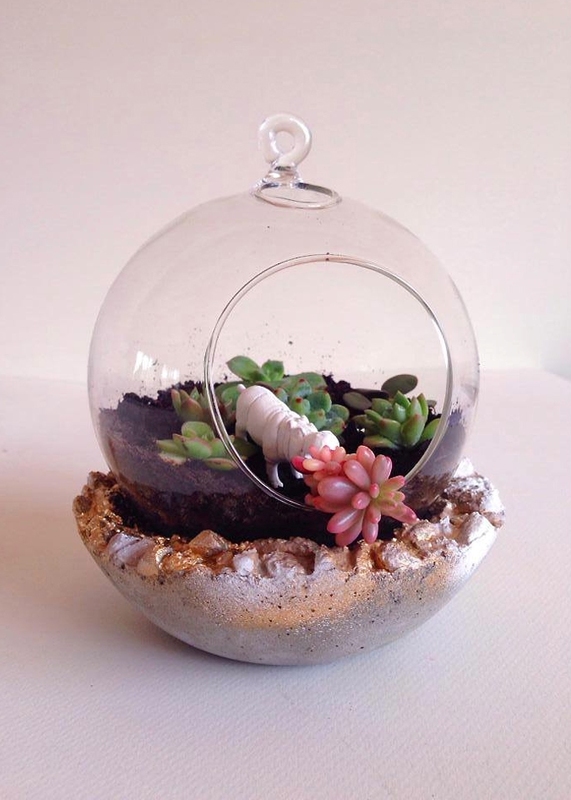 You’ll also get a concrete bowl to sit the terrarium vase in which you can decorate in any way you want. Once your terrarium is complete, you’ll be taught art of macrame and knotting techniques to create a strong and colourful hanger to display your terrarium. 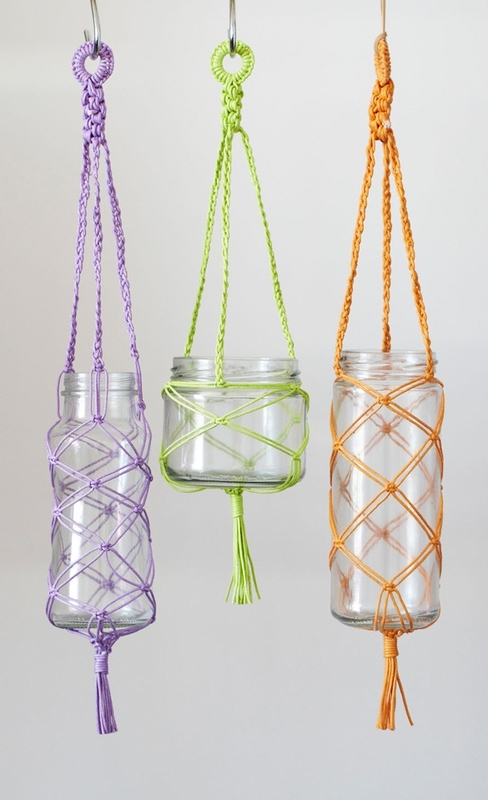 These macrame hangers are a great way to introduce colour into your home and once you master the technique, there is no stopping you! You can macrame a range of colourful homewares such as throws, wall hangers and placemats. Cost: $155 which includes materials, tea, coffee and a goody bag with a Kirri-MaDe resin item and 25% off gift voucher for the Kirri-MaDe Etsy store. BYO lunch. Places are limited – maximum 12 per class so book quickly! 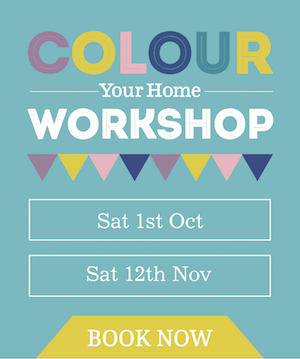 Colour Box Studio hosts a range of workshops throughout the year – for more information visit their website at colourboxstudio.com.